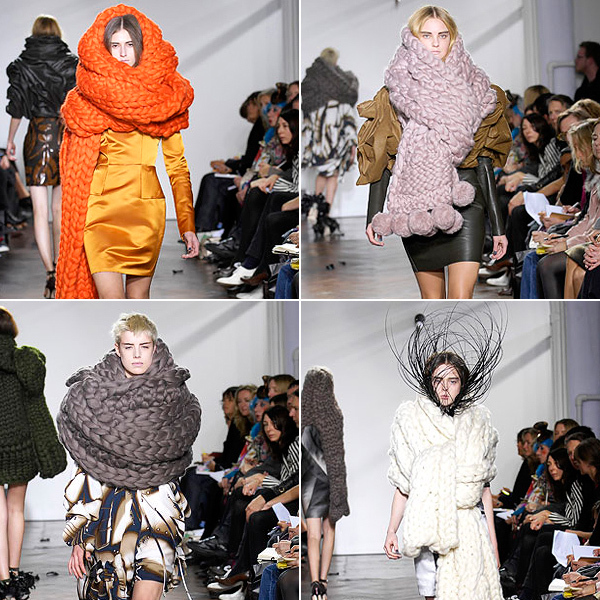 Joking about extreme fashion today, I remembered these fantastic scarves by Giles Deacon from a few years ago. I was desperate for one but, by the time D went looking, they were totally sold out! I feel similarly this year about Marc Jacobs Hats. D will persist in telling me that they are too expensive, ridiculously impractical and I’d never wear it enough BUT I still really, really, want one. So, will I be getting one? Hugely unlikely but until gifting season is over, I shall continue to dream … Anyone with me here?